Bristol-based brothers Tom and Ian Griffiths form the house duo Icarus. The brothers are touring with Australian electronic group Rüfüs Du Sol and opened the concert at Aragon Ballroom Nov. 16. A mythical creature known as Icarus once flew too close to the sun and had his wings scorched, despite his father’s warning of complacency and hubris. While this Greek mythology is a tale of tragedy, the story of Bristol, United Kingdom-based house duo Icarus is one of rising success. Icarus, formed by brothers Tom and Ian Griffiths, emerged in 2013 and has since released numerous singles and multiple extended plays (EPs). Their most recent EP, “In the Dark,” was released earlier this year. Continuing on the road to success, the brothers joined Sydney, Australia native electronic group Rüfüs Du Sol in its “Solace” tour and performed for a lively audience Nov. 16 at Aragon Ballroom (1106 W. Lawrence Ave.). Sitting in a sunshine yellow-painted room beyond Aragon’s stage, Tom and Ian, clad in head-to-toe black, kicked back on leather couches and cooled off after their rager of an opening performance. In between snacks, The Phoenix caught up with the duo about their roots and how their inspirations translate into fresh beats set apart from a plethora of electronic musicians. Oftentimes, openers at concerts don’t fuel a crowd’s fire as much as the headlining act does, but Icarus did just that. Crowds, still steadily gathered for Rüfüs Du Sol’s 10 p.m. scheduled performance — which ended up being cancelled due to technical difficulties — and got into the groove with drinks, dancing and head-bobbing. The constellations painted on Aragon’s ceiling combined with the haze from the special effect fog enhanced the setting for Icarus’ set and added to the mystical aura of the concert. The Griffiths were shadowed figures amid the smoke, turning beats and setting an electric mood for the evening. The Chicago date on the “Solace” tour marked Icarus’ 13th show with Rüfüs. Each additional show taught the brothers new lessons and added to their repertoire, and Tom and Ian said they continue to be inspired by Rüfüs. The brothers said they want their project to have its own identity. Tom and Ian don’t want their music to fit into one specific category, and it doesn’t. “October,” released in 2016, is Icarus’ most popular piece with more than 12 million streams on Spotify. Although its labeled as house music, the song has jazz and choral elements laced in to create a unique sound. On the opposite end of the spectrum sits “Flowers,” a piece from the duo’s 2018 EP. The song is a moody ballad with thought-provoking lyrics and heavy bass synthesizers; it makes a listener want to dance while at the same time evokes emotions of longing and ephemeral love. Icarus transcends the boundaries of mainstream electronic music, something that becomes increasingly difficult with each passing day. When their music begins to fit into a defined genre, Tom said they’ll experiment with different elements to move in other directions. Tom and Ian didn’t grow up in a musical home. Their mother played piano, but their friends and one of their cousins had the strongest musical influences on them. Tom said their cousin was a massive fan of Michael Jackson and together they’d watch his old performance videos. Tom and Ian both studied music in college and were exposed to a variety of genres, which Tom said broadened their horizons. Ian said it all seeps into the music they create. Icarus also draws inspiration from punk and metal bands including Pennywise, NOFX and Machine Head. 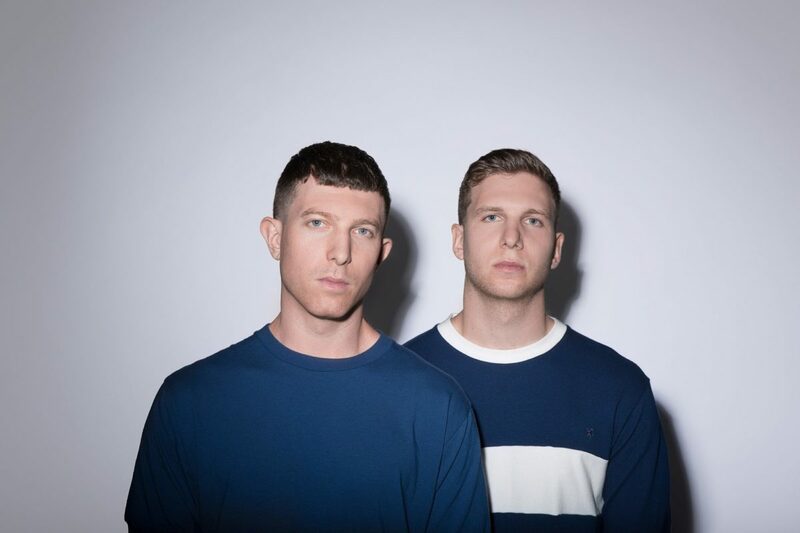 With inspiration coming in from all directions, Icarus creates its own identity and a culture around its music, which is something the brothers said they hope to continue developing in the future. Tom said it would be a dream come true to work with London-based electronic artist George Fitzgerald, as well as artists who create sound on their own terms. Tom said it’s exciting when an artist builds something different and doesn’t fit neatly into a genre or music scene. The duo plans to release its latest EP, “This Must Be The Place” in early-2019. Icarus’ music can be streamed on all platforms.